Gradski Stadion u Koprivnici or in English Koprivnica City Stadium is a football ground located in the Northern Croatian city of Koprivnica. 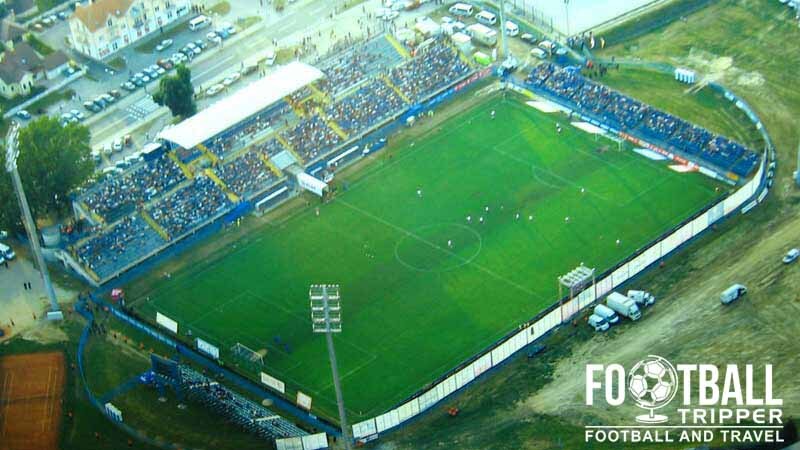 Home to top flight team NK Slaven Belupo, the 4,000 capacity stadium was renovated in 2007 with the addition of floodlights in order to allow the club to host UEFA Europa League games. Koprivnica City Stadium is a multi-purpose sports stadium which dates as far back as the 20th century. Used primarily for the football matches of the two local sides NK Koprivnica and NK Slaven Belupo, the ground has been home to the latter for the majority of the club’s existence since forming over 100 years ago on the 20th August 1907. Currently capable of welcoming 4,000 spectators per match, with the total capacity including an estimated 3,134 seats, the ground is one of the smallest in the top flight of Croatian football. Based on number of seats going into the 2014/2015 season, Gradski Stadion Koprivnica is the smallest stadium in the league with RNK Split’s Park Mladeži the second smallest with an estimated 4,075 places. 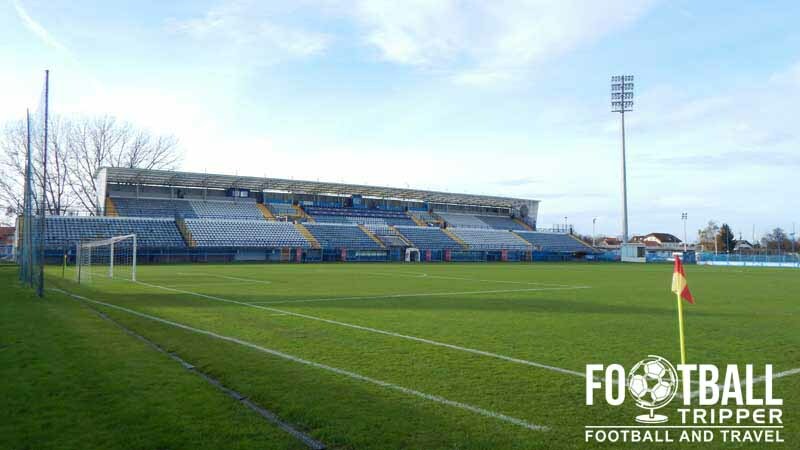 Owned by the local municipality renovation work for Koprivnica’s stadium hasn’t exactly been forthcoming, with the lack of invest from both public and private funds understandable due to the relatively low profile of the resident teams across Europe. NK Slaven Belupo often featured in the Intertoto Cup but it wasn’t until the club qualified for the 2007/2008 UEFA Cup that funds became available to renovate the ground. The club had a strong cup run in 2007, defeating holders NK Rijeka before losing to Dinamo Zagreb in the final, and as runners up received entry to the UEFA Cup. At the end of the season, the club installed floodlights and undertook a handful of minor modifications in in order to meet UEFA’s stadium criteria for European Football. There are currently plans to make the Western grandstand’s roof permanent and to create more press boxes for journalists and VIPS but as of 2014 there is no estimated completion date. Koprivnica City Stadium is comprised of four stands: North, East, South and West.